In August 1868, the Reverend Charles Lutwidge Dodgson, better known by his pen name Lewis Carroll, took a lease on a house called ‘The Chestnuts’ in Guildford, close by the town’s castle. His seven sisters were about to be made homeless. Their father, the Rector of Croft-on-Tees in Yorkshire, had died, and Croft Rectory, where the Dodgson family had lived in for twenty-five years (the National Portrait Gallery has a photograph of the family in front of the house), went with the job. So Fanny, Elizabeth, Caroline, Mary, Louisa, Margaret, Henrietta, as well as Aunt Lucy, their mother’s sister, needed a new home. The sisters had always lived in the north of England. Why Guildford? Why didn’t they move to Oxford, where Charles lived and worked? Apart from the convenience of living close to their brother, if marriage was an ambition of any of the sisters then they might have met potential husbands in his circle of Oxford friends (though not among his Christ Church colleagues, who were forbidden to marry). In her book, Lewis Carroll: A Biography, Anne Clark speculates that perhaps Charles ‘felt that close proximity might have ruptured the sense of privacy and personal freedom that he had come to value so much’. Even allowing for Charles’ desire to preserve his freedom and privacy, packing the bereaved and uprooted sisters off to a town fifty miles distant from Oxford seems extreme. It appears he really didn’t want them near him. So Guildford it was. The following year Mary married the Reverend Charles Collingwood and moved out. Despite his apparent wish for a clear distance from his sisters, Charles visited The Chestnuts regularly and stayed for lengthy periods during the academic holidays. 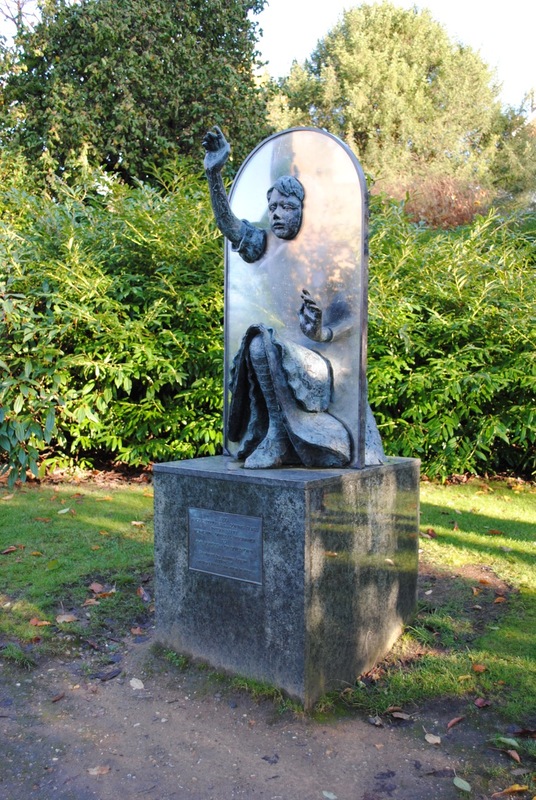 He worked on Through the Looking-Glass during his stays, and this work is commemorated in Jeanne Argent’s sculpture in the Castle grounds, at the back of the house. He also preached at the local church, St Mary’s, though his stammer made this an ordeal for him. And while walking in the hills near Guildford, Charles was visited with the line ‘For the Snark was a Boojum, you see’. That moment led eventually to the composition of the long, beautifully weird poem, The Hunting of the Snark, of which that sentence is the concluding line. ‘I knew not what it meant, then: I know not what it means, now,’ he wrote years later. In December 1897 Charles came to the Chestnuts as usual for the Christmas holidays. The following month he became ill with the flu, which led to pneumonia. 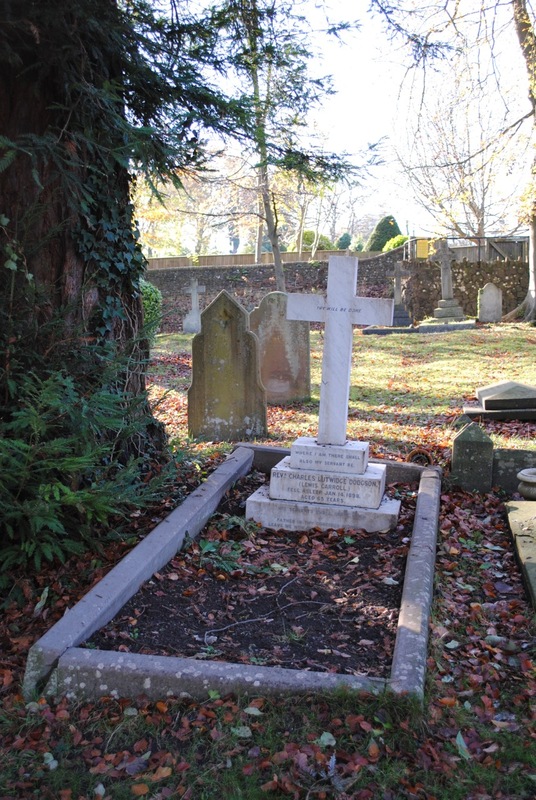 He died on 14 January, aged 65, and was buried in Guildford’s Mount Cemetery. None of the sisters apart from Mary ever married. Up at the Mount, I could find no traces of them amid the decrepit stones and plots. But Aunt Lucy is there, on the other side of the grounds from Charles. 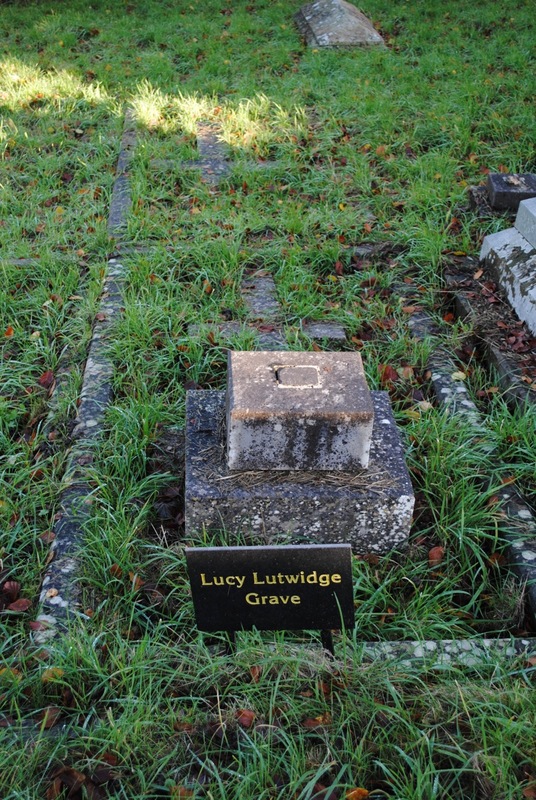 I wonder how the Dodgson sisters lives were after their brother died, and if they lived out the rest of their days in the Chestnuts, and whether Alice Liddell’s sons ever visited them to ask about the man who immortalised their mother.